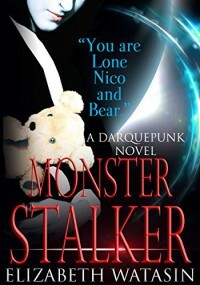 Monster Stalker: A Darquepunk Novel, has released! http://a-girlstudio.com/wp-content/uploads/2015/07/DP_MONSTERSTALKER_header.jpg 600 420 ewat http://a-girlstudio.com/wp-content/uploads/2015/03/Header_risen-300x169.jpg ewat2015-09-22 12:38:062015-09-22 12:50:00Monster Stalker: A Darquepunk Novel, has released! Darquepunk. It's vampires all the way down. The Dark Victorian series, Worldwide! TONIGHT, on Krypton Radio: Me! Last Hours on this Science Fiction Giveaway! 80 lbs of books to #LGBT Youth and Women’s Prison Book Project THE WRECKING FAERIE is here!